20 March 2017 – On Tuesday 21 March 2017, Le Cordon Bleu takes part in the Goût de France event, a global gastronomic stage, organized by the French Ministry of Foreign Affairs and International Development. The goal of Goût de France is to pay tribute to the excellence of French culinary expertise in more than 2000 venues around the globe and in French Embassies who promote this celebration in a resounding fashion. The theme of the third Goût de France edition is education in the restaurant, hospitality and tourism sectors. 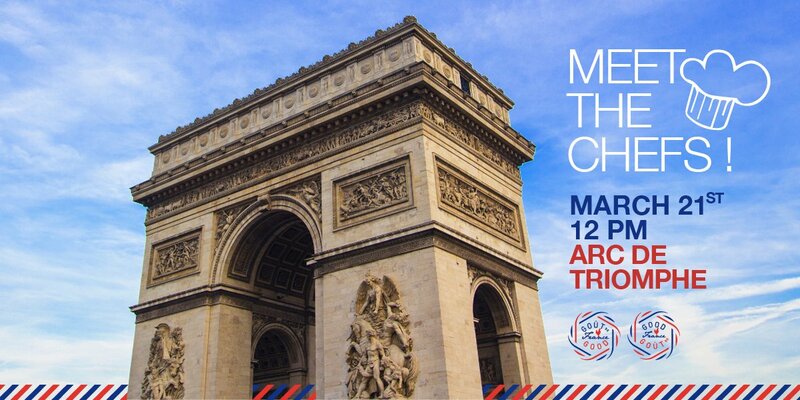 This is why, on Tuesday 21 March, tourists will have the opportunity to sample emblematic delicacies on top of a historical monument, the Arc de Triomphe, with a variety of training institutions present. Le Cordon Bleu Australia participates in the gala dinner, prepared by Chef Hervé Aubry of the French Embassy in Canberra, with the participation of Le Cordon Bleu Chef Steven Belcher and students. Chef Belorgey and Chef Graslan from Le Cordon Bleu Tawain-NKUHT institute prepare with their team a Goût de France menu. Le Cordon Bleu in Malaysia invites the public to join for a fabulous French diner in its training restaurant. In Korea, Le Cordon Bleu Chefs and students takes part in an evening organized at the French Embassy. In Mexico, Chef Arnaud Guerpillon has devised a Goût de France menu at Le Cordon Bleu Casa de Francia restaurant, which is located within the former French Embassy in Mexico City. Chef Yannick Anton, from Le Cordon Bleu Ottawa institute, has created an appetizer, using market ingredients, and Chef Nicolas Jordan, Best Craftsmen in France (Meilleur Ouvrier de France - MOF), an outstanding dessert. The Wallqa training restaurant at Le Cordon Bleu Peru has devised a menu using the skills of two Chefs: the famous Peruvian Chef Giacomo Bocchio and French Chef Jacques Benoit, a member of the Académie Culinaire de France. 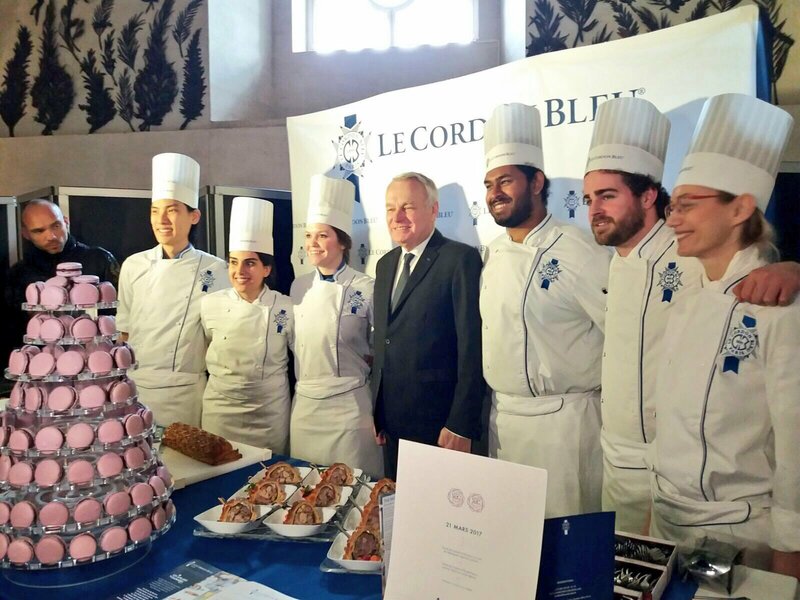 “Le Cordon Bleu is actively involved in the Goût de France initiative…” stated André Cointreau, Le Cordon Bleu International President. “…Le Cordon Bleu is extremely successful in reaching its goal of teaching French gastronomy and spreading its influence around the globe. French culinary techniques can be applied to any world cuisine. 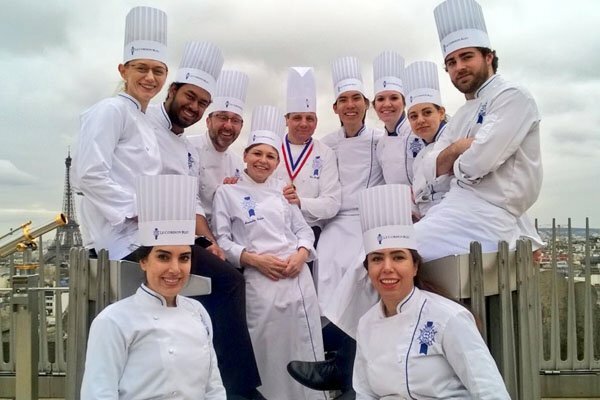 During the Goût de France event, our graduates, “ambassadors” of French gastronomy, also highlight all over the world French culinary techniques as they are taught at Le Cordon Bleu. As such, Le Cordon Bleu contributes to the economic, linguistic and cultural influence of France”. Be part of the macaroon experience on 16 March 2017 with Pierre Hermé and a number of renowned pastry Chefs at Le Cordon Bleu Paris institute. From 5 to 7 March 2017, Le Cordon Bleu Paris students will take part in Omnivore World Tour Paris providing assistance to Chefs from all over the globe.